Temperatures are going to soar today in the Lake George Region! 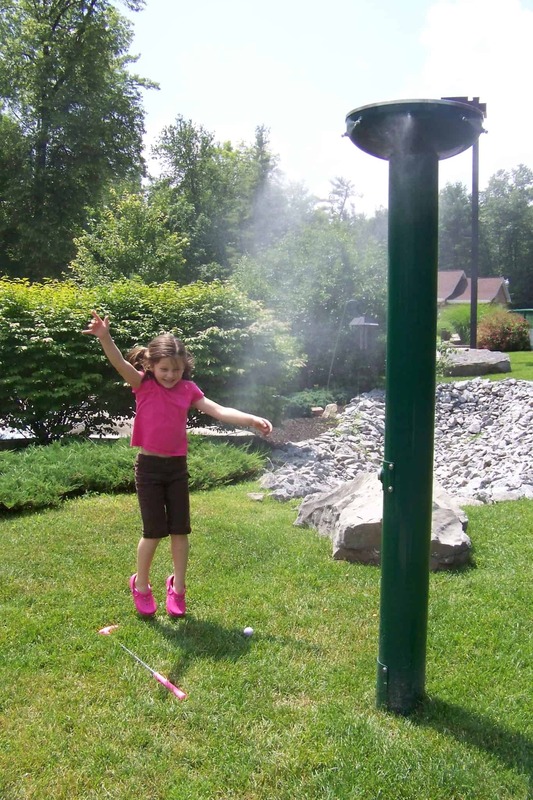 No worries – Lumberjack Pass Mini Golf has misters on the course for your playing pleasure – just push the silver button and cool right down! And don’t forget, you get a free cone with every paid admission when you are done – at Lumberjack Mini Golf you can stay cool on the course and on our patio – free cone to enjoy under our umbrellas. We can’t wait to see you!